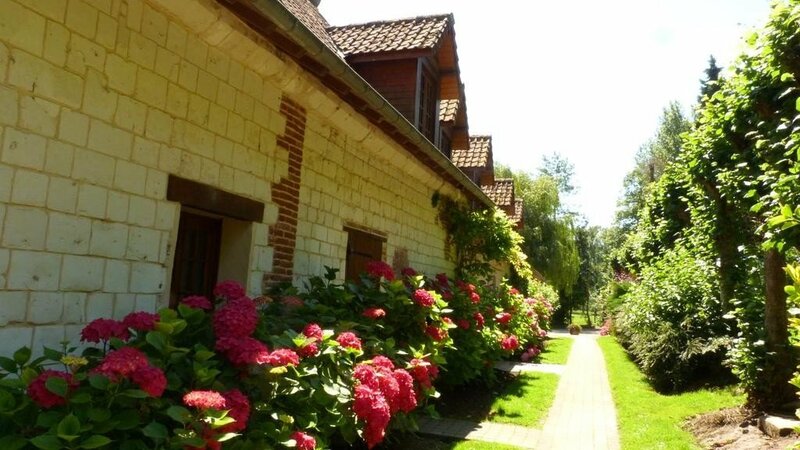 Farm Gite des Chartroux near Calais, northern France, has a lovely, traditional French, farmhouse gite on its working farm which includes horses, donkeys, pigs, sheep, hens and geese. The owners are welcoming and friendly; you’ll feel like you’re visiting long lost relatives, and the location is perfect; a green, peaceful oasis under an hour from Calais and twenty minutes from the seaside town of Touquet-Paris-Plage. They have a three double bedroom cottage on their working farm to sleep up to six, though there is also a double sofa bed in the living room where you can squeeze in two more. The cottage is modern and clean and has a well equipped kitchen, cable TV, WiFi and laundry facilities. Outside, guests are welcome to relax in the gardens and explore the surroundings, including the farm with its friendly animals. Roughly between Calais and Amiens, (about an hour from each) Gite des Chartroux is in the middle of Pas-de-Calais’ Montreuillois region. This is a richly rural region well known for its good food and peaceful, slow pace of life, it is a land of green fields, country roads and small friendly villages. You are near the sea here too too, with and the port of Etaples being just ten minutes away, while lively seaside towns like Berck, Merlimont, Touquet-Paris-Plage and Stella are within 20. The journey to Paris will take no more than two and a half hours. Note: Ferme des Chartroux also has B&B rooms at the main farmhouse, you can check them out by clicking here.